We are seeing more and more printed, dimensional, and large-scale tile — if you couldn’t already tell by browsing through our showroom! Ceramic, cement, and porcelain options allow you to create a beautiful, compelling, look throughout your home. Thinking about exploring new and exciting tile options for your home? Let’s get started! Printed pattern tile is an excellent way to add interest to backsplashes, floors, and walls. They effortlessly add elegance to kitchens, bathrooms, entryways … anywhere you want to inject your own personality and style. Home should be you. 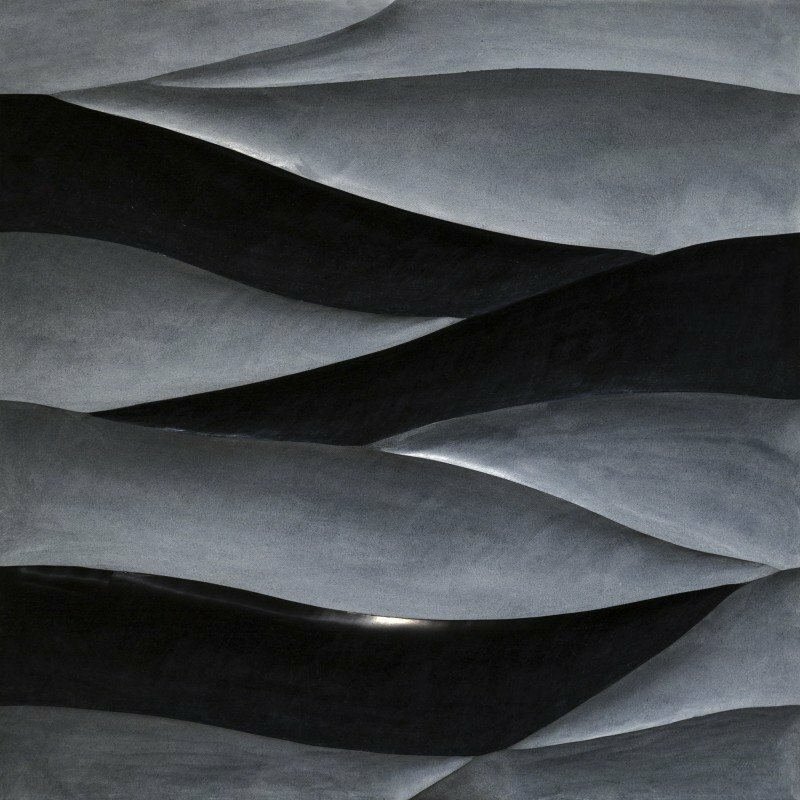 A selection from Roca Tiles’ Boulevard Series. Imagine one of these beauties in your home! Here, we see minimalist decor that works perfectly with the bold, eye-catching tile. With a few bursts of color, the entire look is pulled together beautifully. You can find a wide array of patterns and colors from today’s manufacturers. What captures your interest and style? 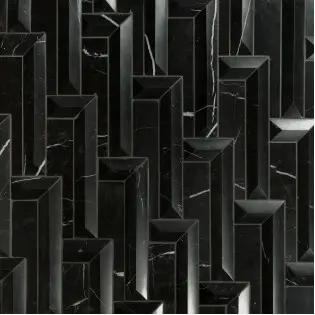 If you want to transform a flat — and, dare we say, boring — surface and create the illusion of movement and the reality of light-reflecting beauty, a dimensional pattern tile is the way to go. Their sculptural, intentionally irregular design instantly infuses a space with added interest and depth. As with printed tiles, you can use dimensional tiles for backsplashes and accent areas or turn an entire room into a work of art. Imagine you have a chic white kitchen; black tiles like the sample above, create stunning contrast for your backsplash. Spice up an accent wall. Use dimensional pattern tile to complement your staircase. Wake up your backsplash. Replace wainscoting with a fresh, modern look. Give color and depth to walls with floating shelves. Liven up a monochromatic room with intriguing texture. 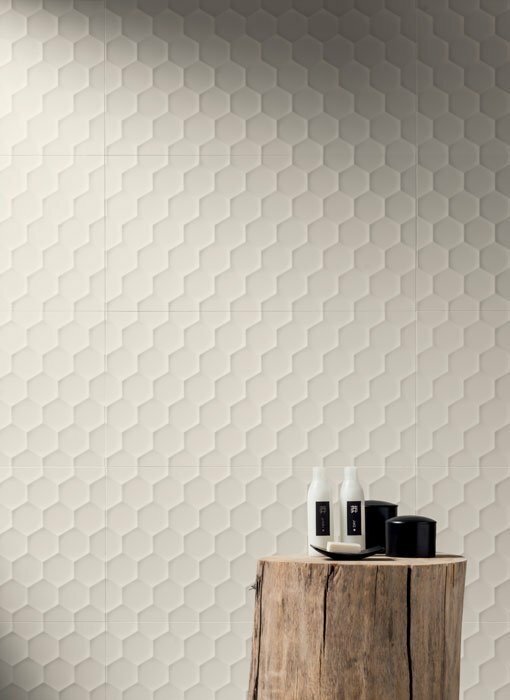 Large-scale tile continues to grow in popularity — and we can understand why! One of the biggest benefits of larger tiles (and fewer grout lines!) is that they create the illusion of more space and room. They also allow you to achieve a level of detail that is unsurpassed. If you want to mimic the appearance of wood or stone, for example, this is an effective way to do so thanks to advanced digital printing technologies. You can also play around with design to find just the right fit for your home. Opting for a traditional square grid is one possibility — or you can use your tile to build basket weave, brick, and herringbone patterns. Insert different tiles for your border or accent areas. Make your house home. 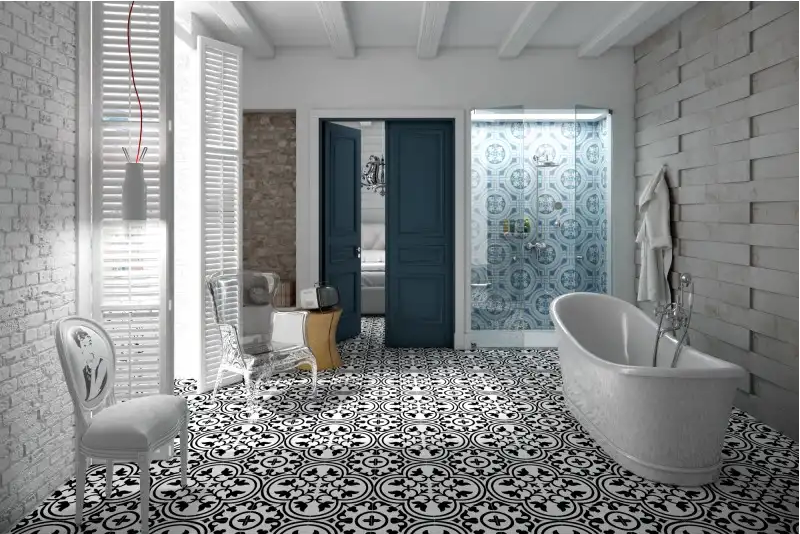 Printed, dimensional, and large-scale pattern tile can effectively elevate your interior and make you fall in love with your space all over again. Do you love where you live? Take our quick quiz to find out. And if you find out you could stand to love it a bit more, contact the ACo team today!